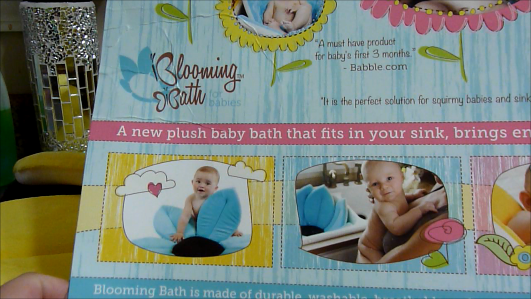 Growing Little Ones : Reivew of Blooming Bath for Babies & Infants - FITS IN KITCHEN SINK! 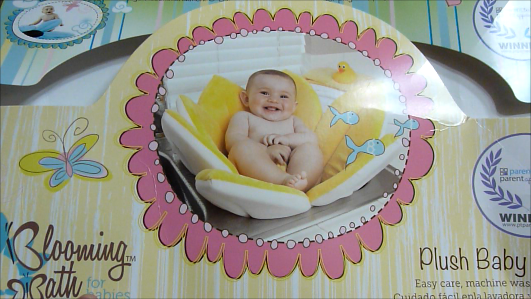 Reivew of Blooming Bath for Babies & Infants - FITS IN KITCHEN SINK! 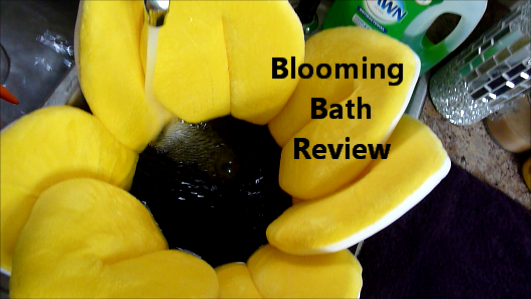 Above is the video review of the Plush Blooming Flower Petal Bath for newborns, infants and babies! We used this item for the first time when our son was 3 weeks old and I fell in love all over again. It truly was everything it claimed to be. It was soft beyond measure and he sat up in it like a prince. I was able to plug the sink and fill the water up to his waist so he didn't get cold. At only 3 weeks old he was enjoying his bath! He didn't cry till we pulled him out and of course he was chilly so that was good enough reason to cry for sure. He is 4 weeks tomorrow and we just used it again. It was an easy, wonderful experience this time also. I just hang dry my blooming bath flower and it dries in about 24 hours, but you can put it in the dryer for about 10 minutes after a bath for a quicker dry. It is machine washable and safe in the dryer. It is awesome. It comes in blue, pink and yellow. 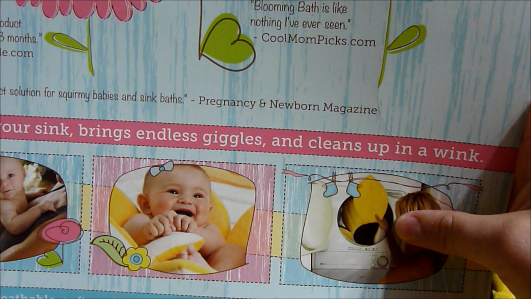 Follow this link for more information and idea's to use Blooming Bath after baby gets older!